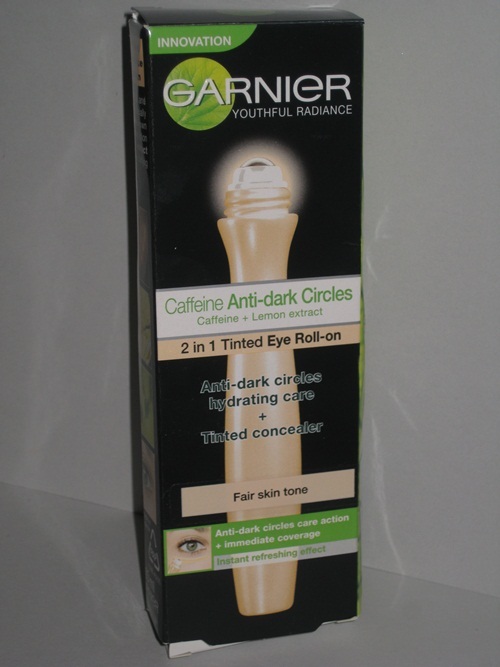 I've read that the Garnier BB Eye Roll-On has finally reached our shores and was really excited about it. I first heard of it on the show 女人我最大 (NRWZD or "Ladies First", it's a Taiwanese show on women and beauty related topics) few weeks ago when one of the makeup artists recommended this concealer that doubles as eye cream/gel too. According to him, this eye roller existed long ago and was first sold in UK and it's a top-selling product. In addition, the caffeine in it helps to reduce puffiness of the eyes, improves blood circulation and since it is tinted, it helps to conceal dark circles and brightens areas where it's dark. Sounds too good to be true right? I was sold immediately and wanted to try it so badly. Did a little snooping online and turns out that this product is probably just a renamed version of Garnier Tinted Eye Roll-On. So in case, you are looking for reviews for the Garnier BB Eye Roll-On, you might just want to search for the other name "Garnier Tinted Eye Roll-on". Now I'm kind of skeptical about it and wondering if the "BB" (which stands for blemish balm, like in BB cream) was added into the name to appeal to the Asian market. Ahhh.. Feel so cheated. I could be wrong though as this could be a new formula but everything (packaging wise) looks the same to me. 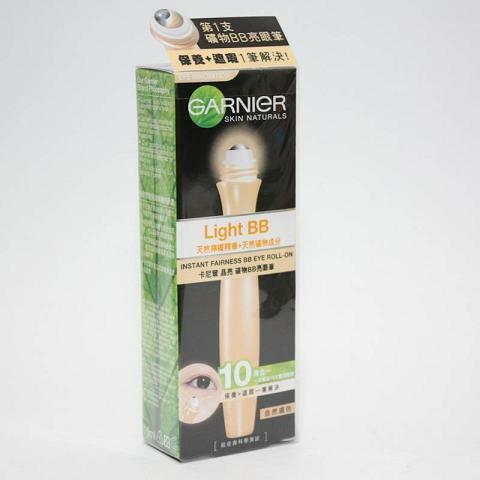 Garnier BB Eye Roll-On retails for SGD$22.90 in Watsons Singapore.